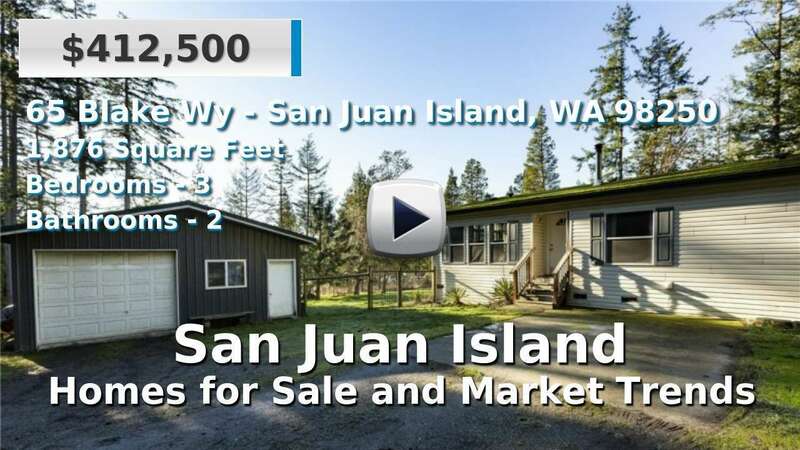 San Juan Island is the second largest island, in terms of land area, in the San Juan Islands. Its population is just over 6,800 residents and its largest (and only) incorporated city is Friday Harbor. San Juan Island is a part of San Juan County, Washington, between the state’s northwestern coast and Victoria, British Columbia. San Juan, Lopez, Orcas, and Shaw are the only islands with Washington state ferry service in the archipelago. Friday Harbor is also connected to the Sidney, British Columbia ferry line. Homes and condominiums for sale here, while rarely new, are generally custom built, ranging from cabins to modern waterfront estates. Living on San Juan Island means a laidback lifestyle. Local commutes are very short, sometimes even walkable, while leaving the island requires ferries or small aircraft. 2 Beds | 2 Baths | 1727 sq. Ft.
2 Beds | 2.5 Baths | 2653 sq. Ft.
3 Beds | 2.5 Baths | 2480 sq. Ft.
2 Beds | 1.75 Baths | 3500 sq. Ft.